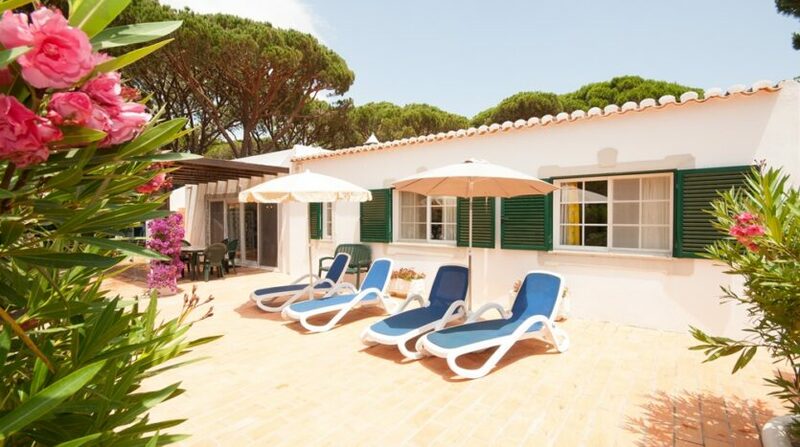 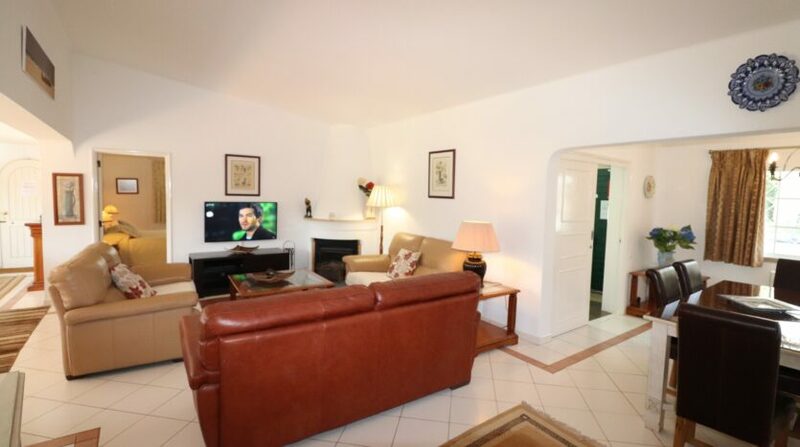 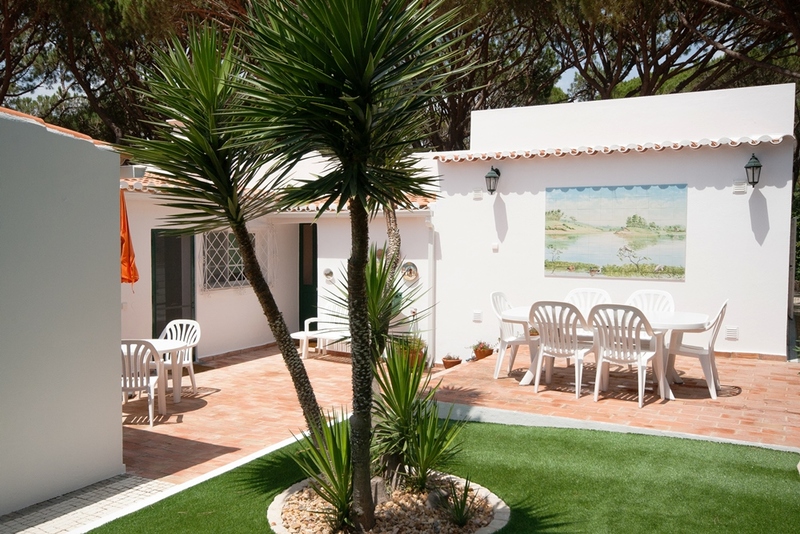 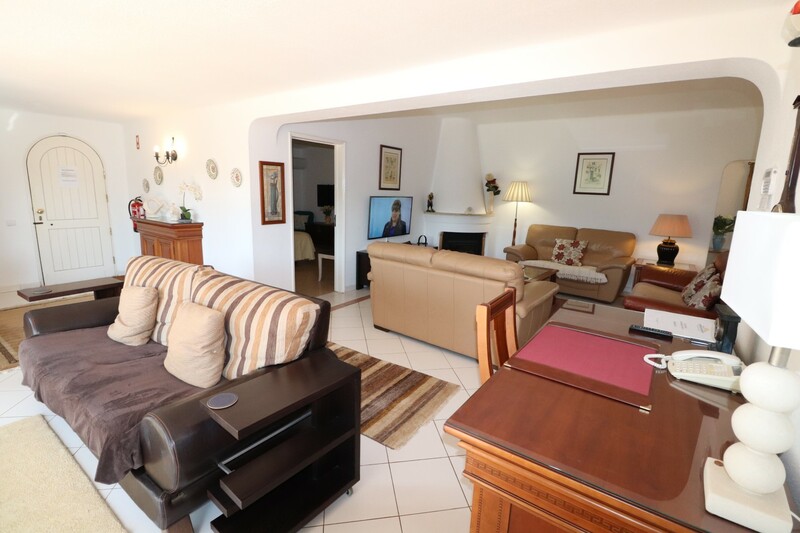 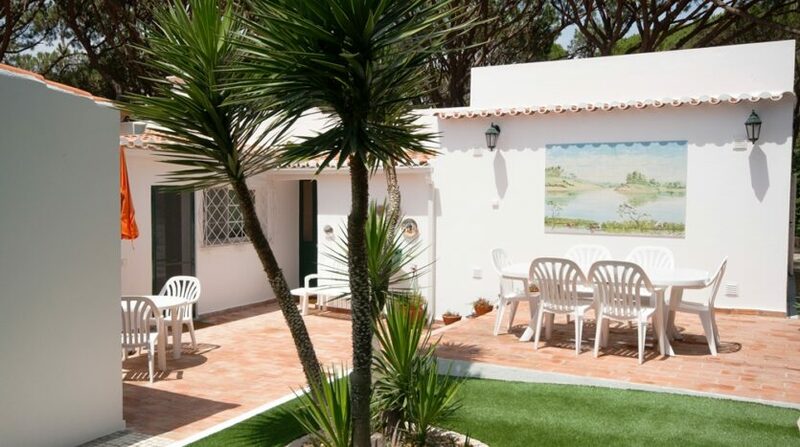 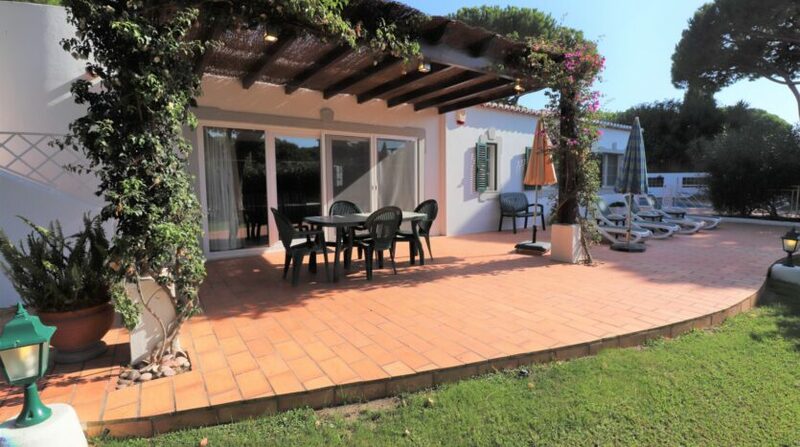 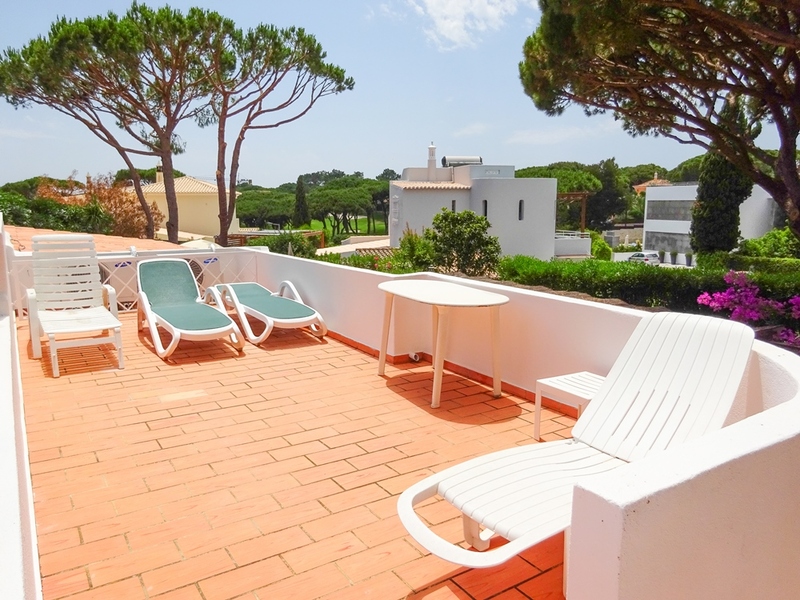 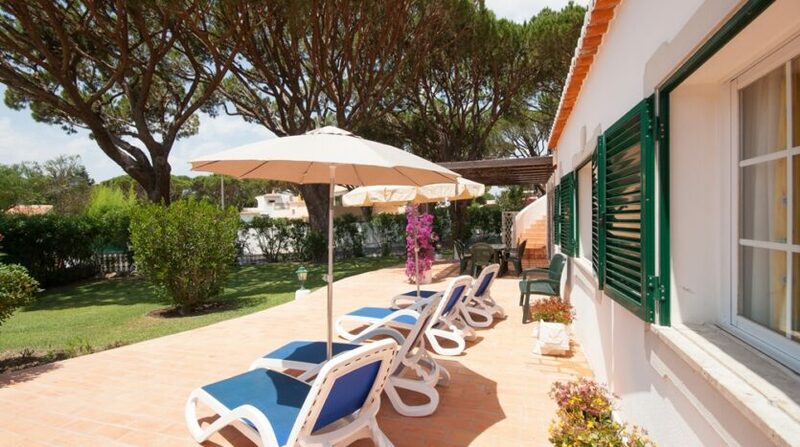 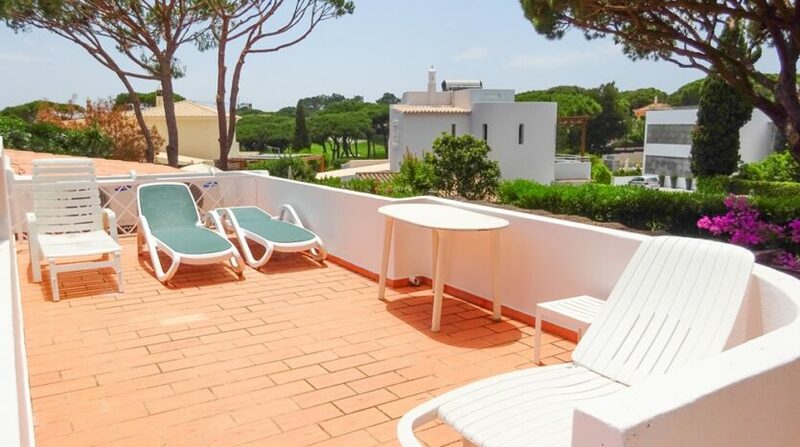 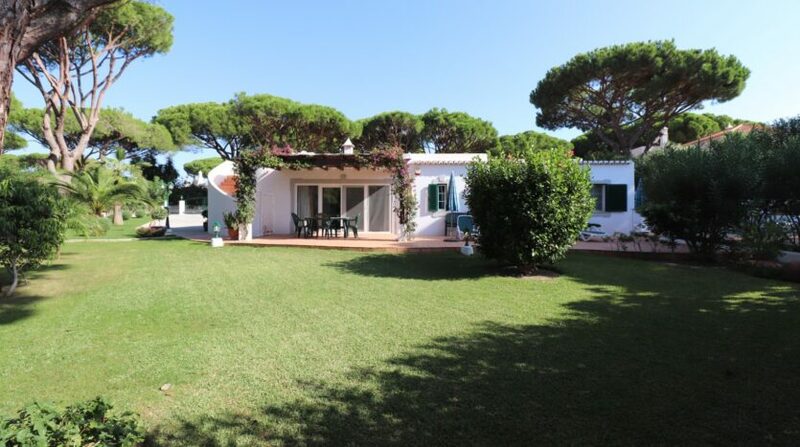 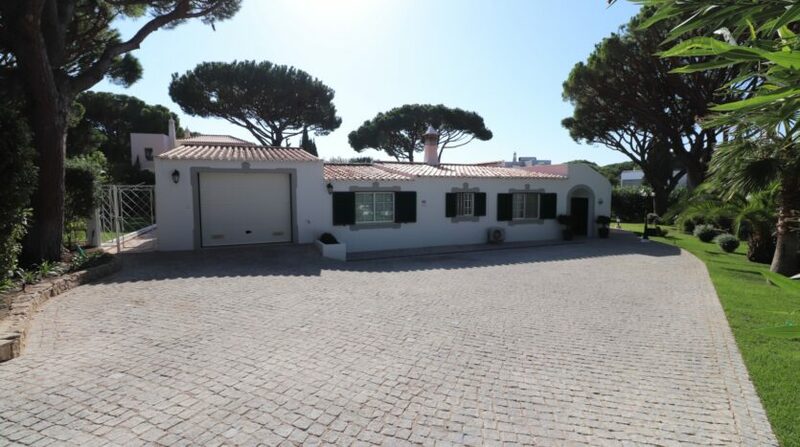 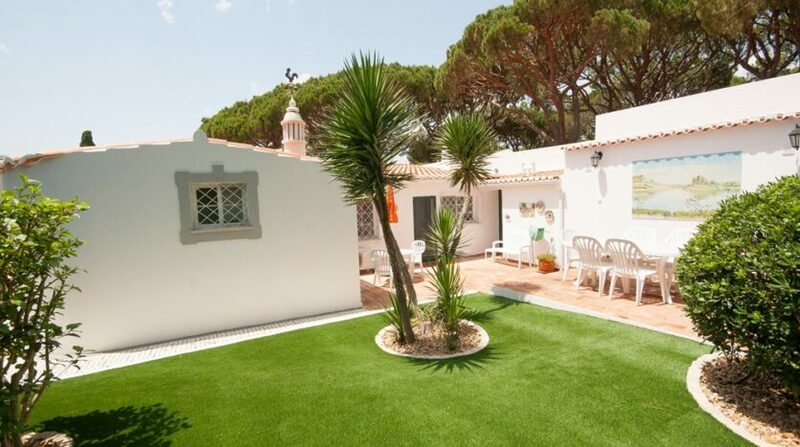 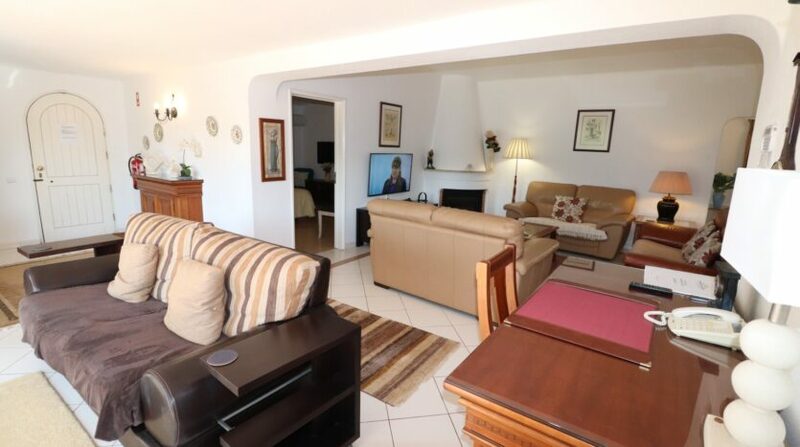 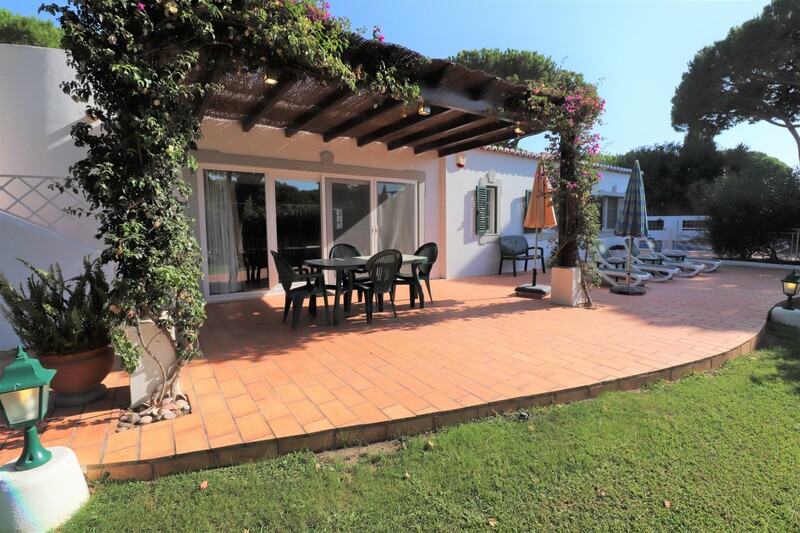 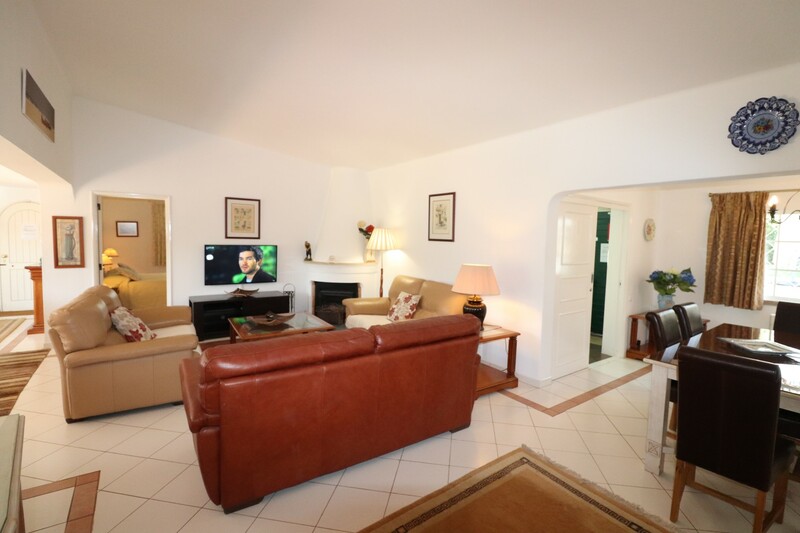 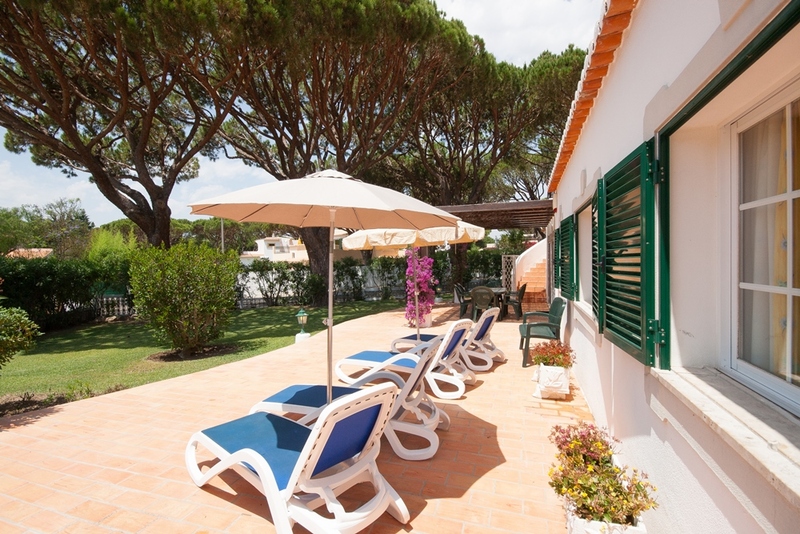 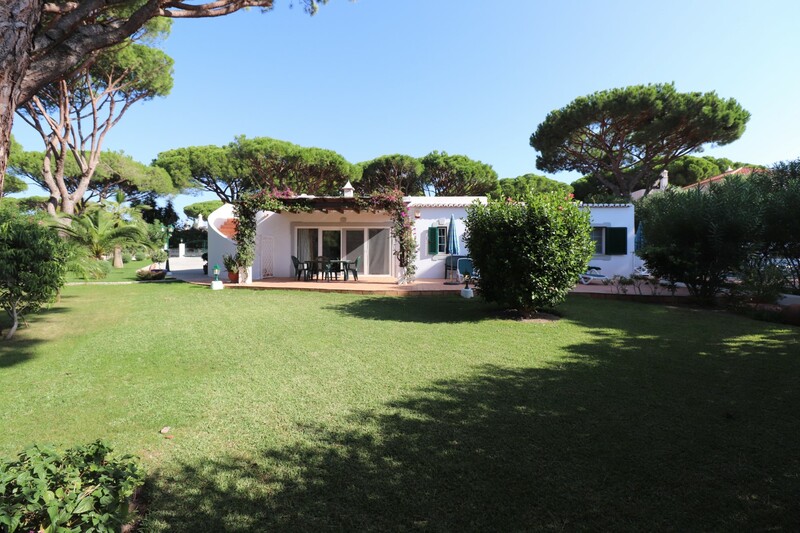 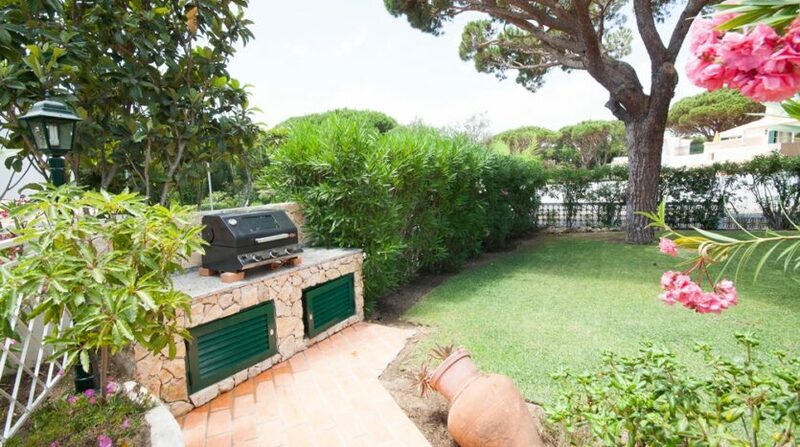 Single-storey villa situated in a quiet cul-de-sac close to Vale do Lobo reception and golf course. 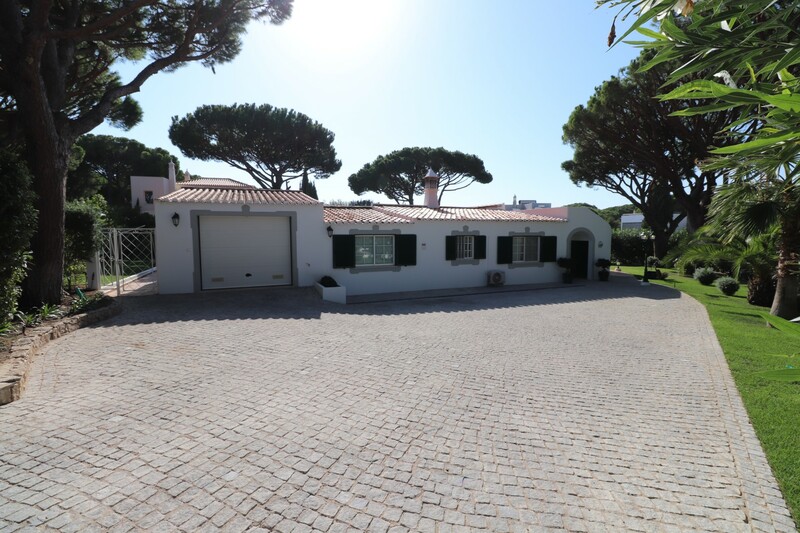 ‘Calcada’ driveway leads to main and side entrance. 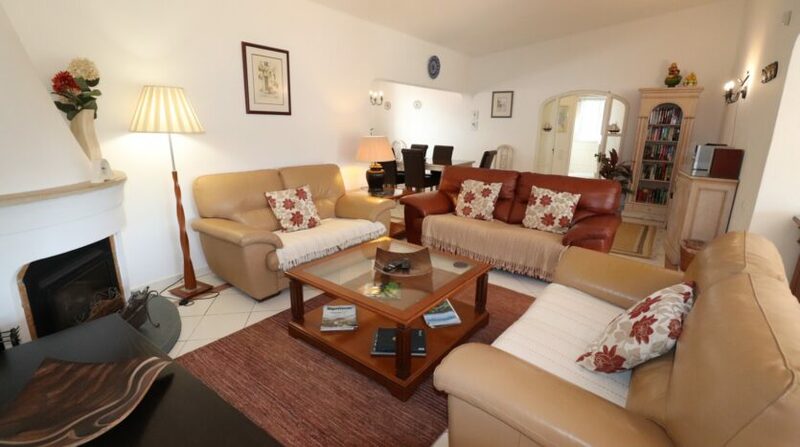 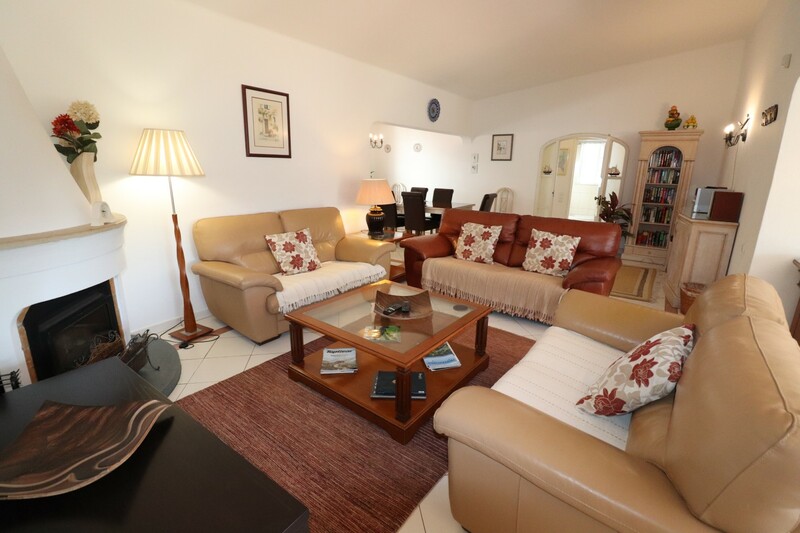 Main entrance into lounge/dining area, spacious and pleasantly furnished lounge with wood burning stove, satellite TV, video, DVD and music centre, patio doors to terrace/garden with built-in BBQ. 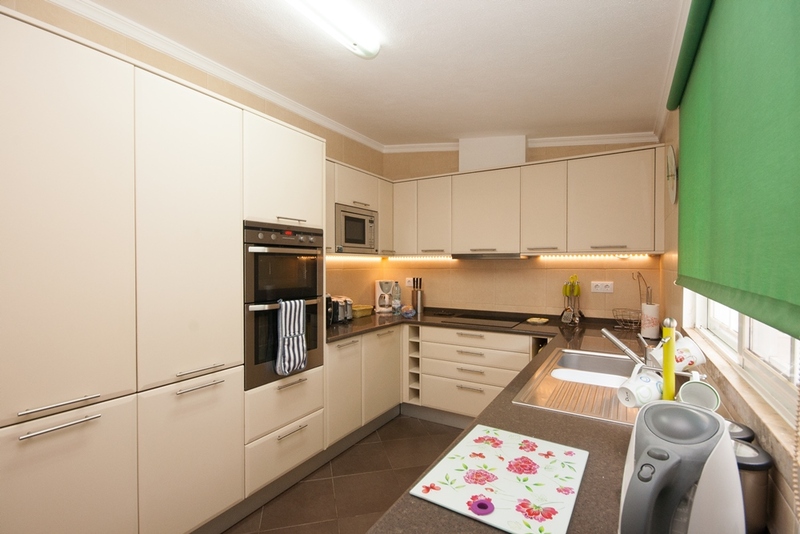 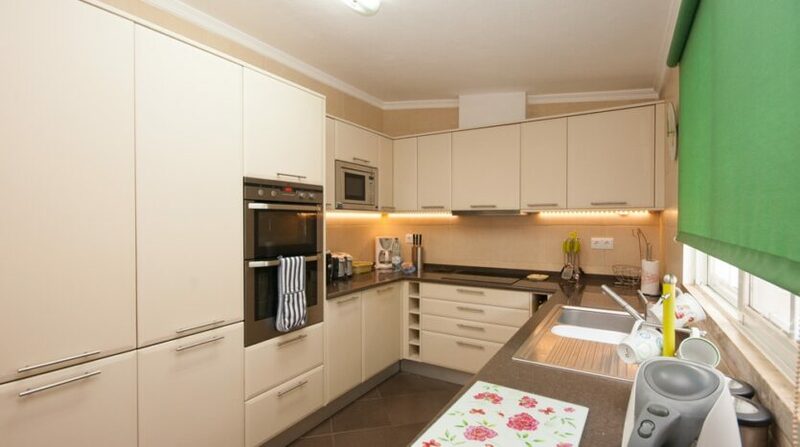 Dining area with sliding door to fully fitted kitchen equipped with all modern appliances including microwave oven. 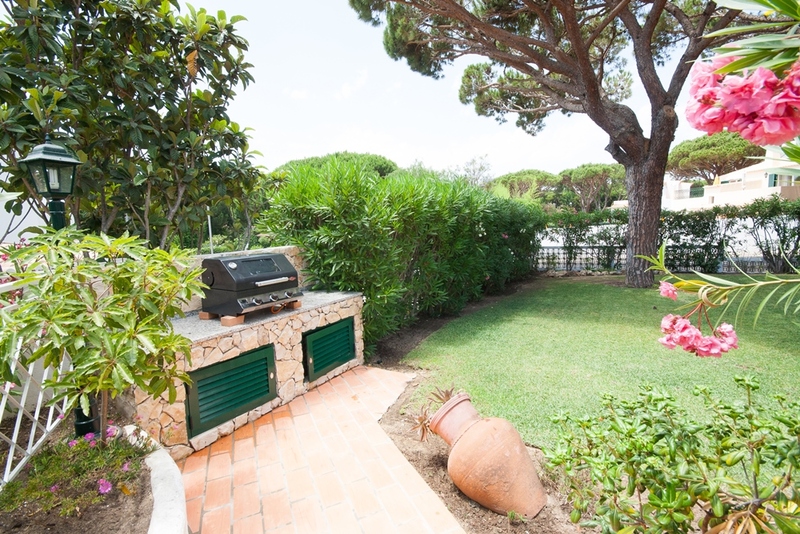 Door leads to outside eating area /private lawned garden with access to pool. 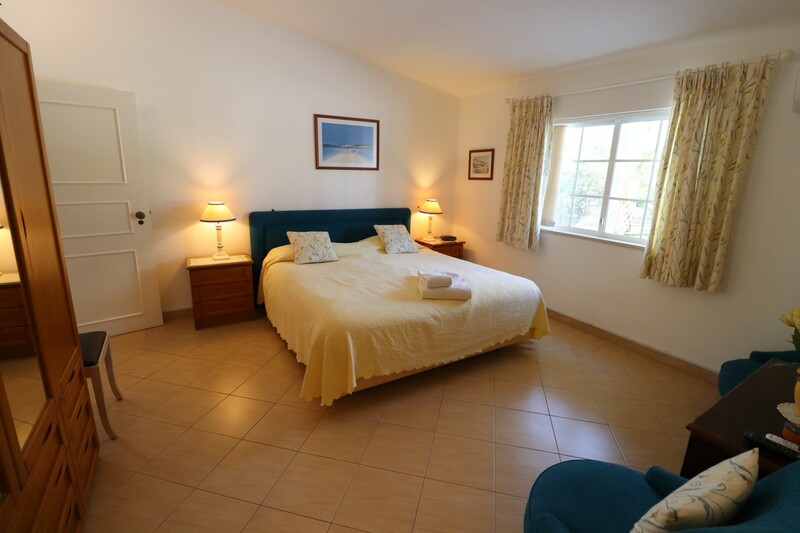 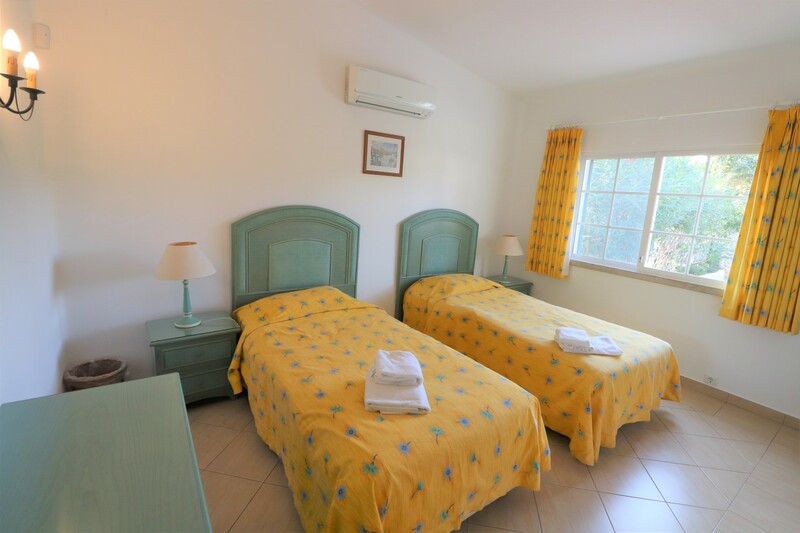 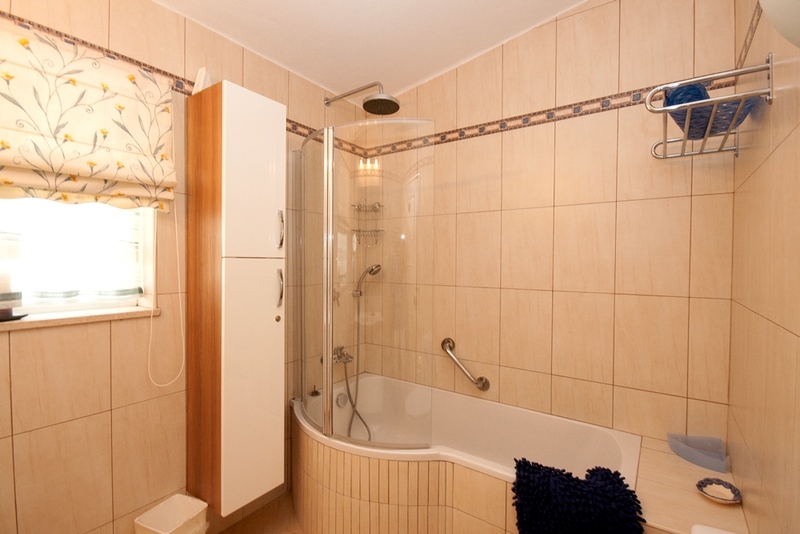 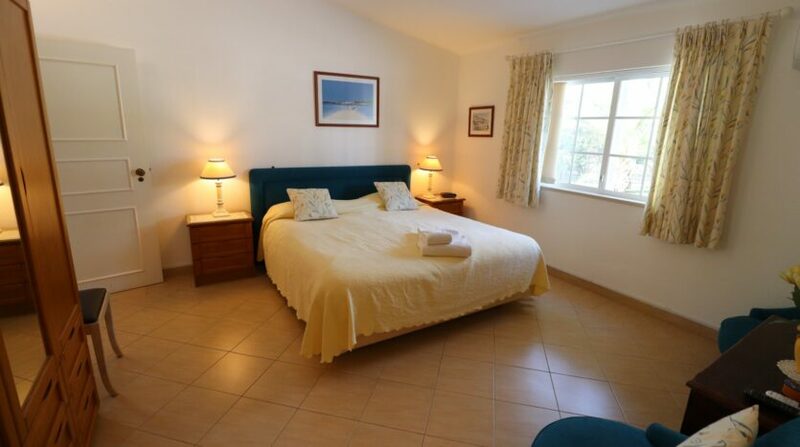 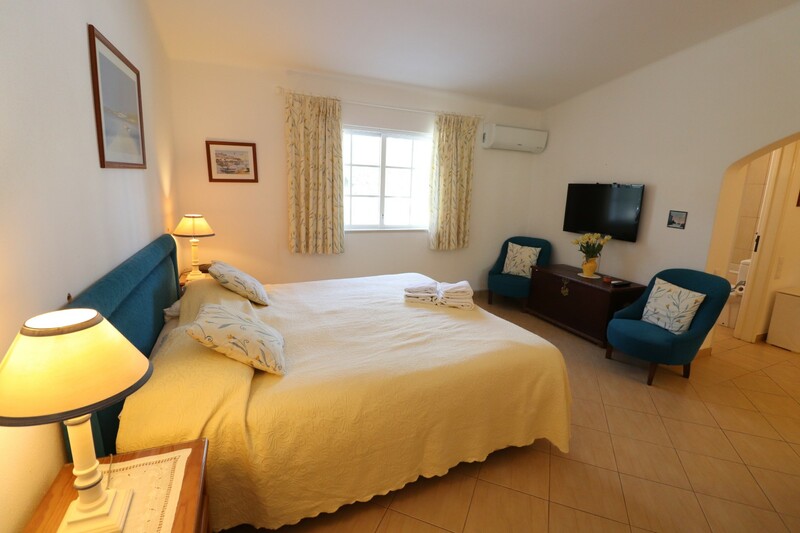 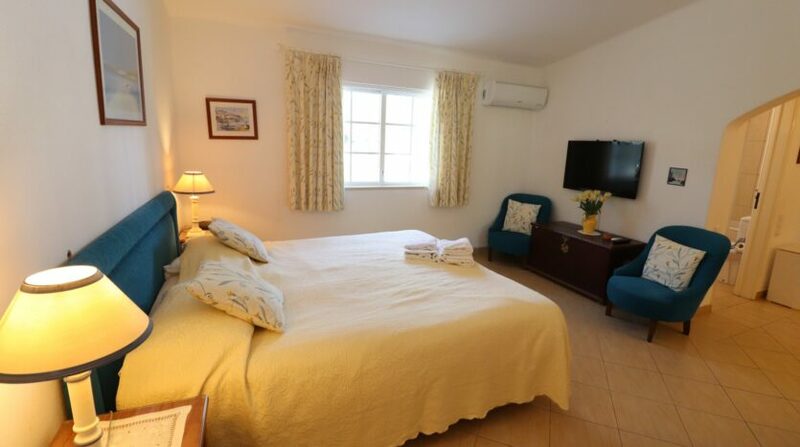 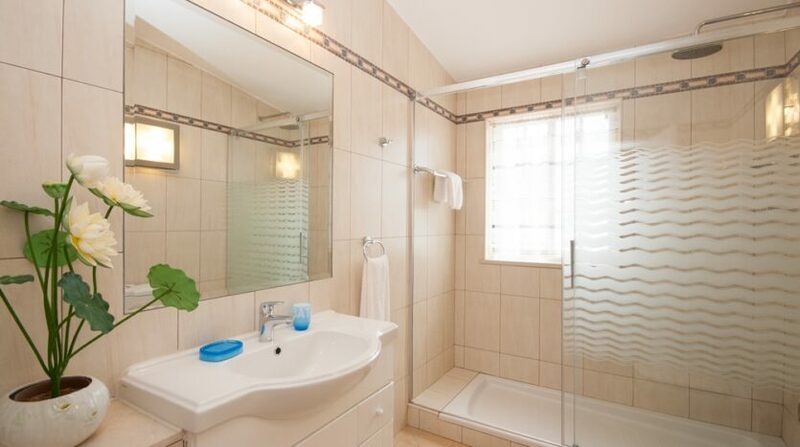 Double bedroom with full en-suite bathroom, sliding doors to pool area. 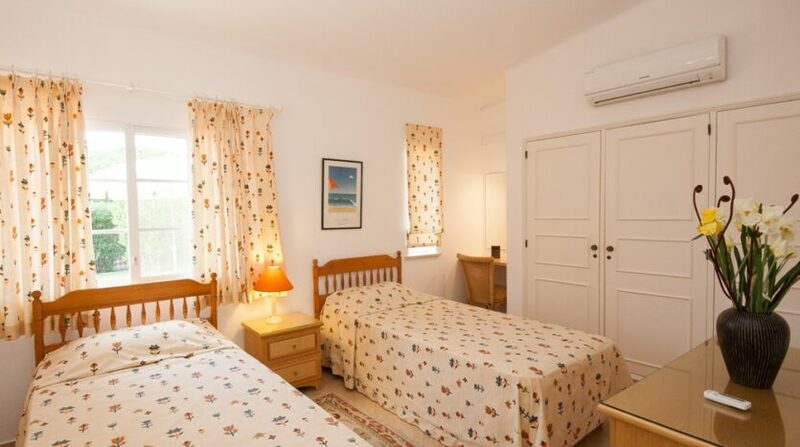 2 Twin bedrooms with separate bathroom. 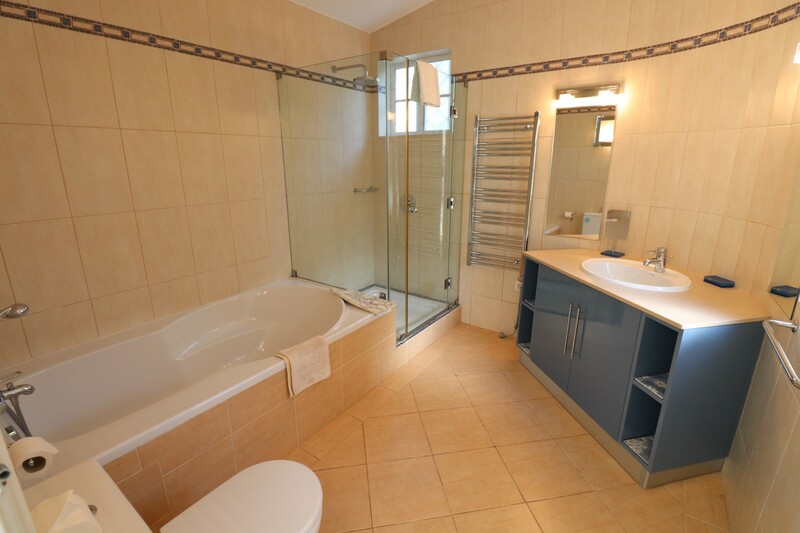 Master double bedroom with en-suite bathroom. 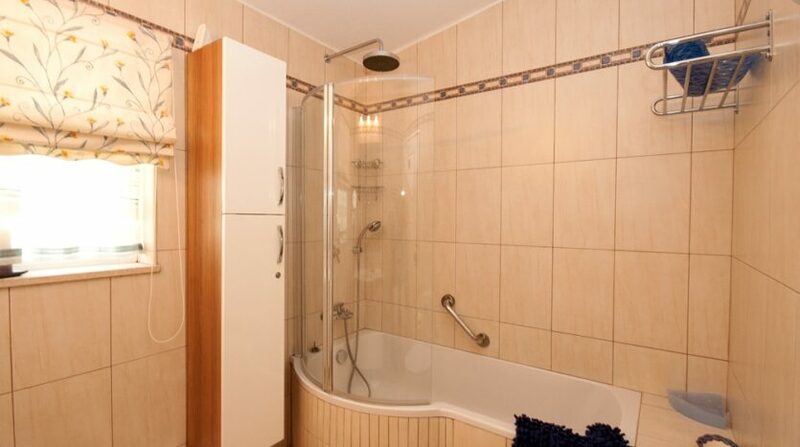 Safe. 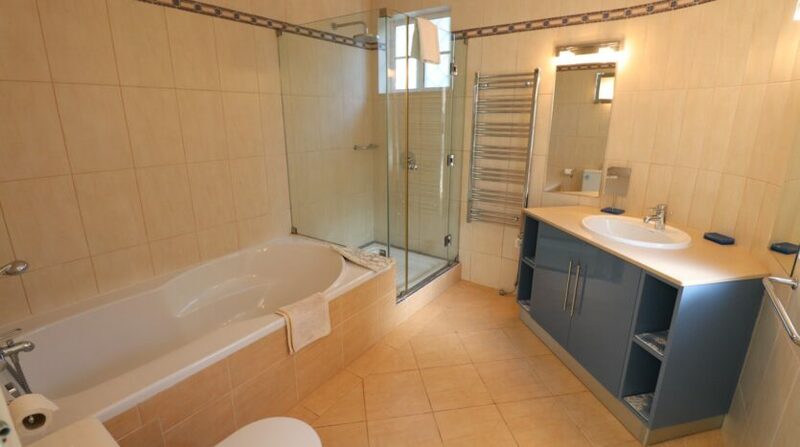 Heated swimming pool (supplement payable £150 per week) with steps to shallow end and children’s slide. 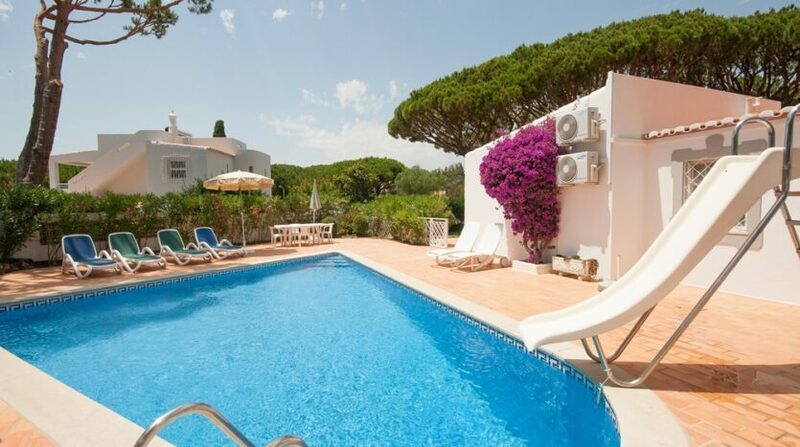 Pool area can be closed off for children’s safety. 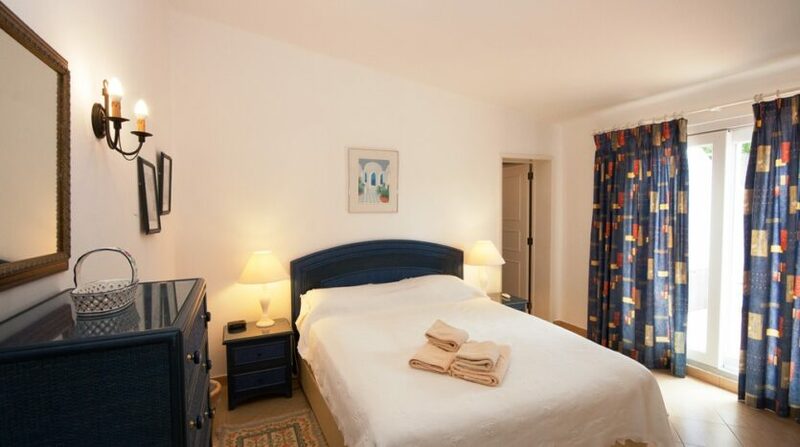 Notes on accommodation: Heated swimming pool (supplement payable £150 per week). 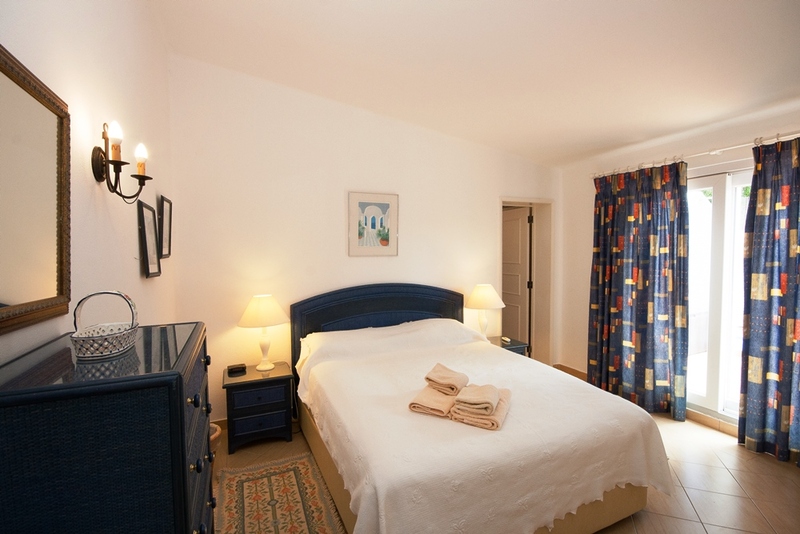 Cleaning / Towels / Linen / Maid service: The maids will visit 4 times per week except weekends and public holidays. 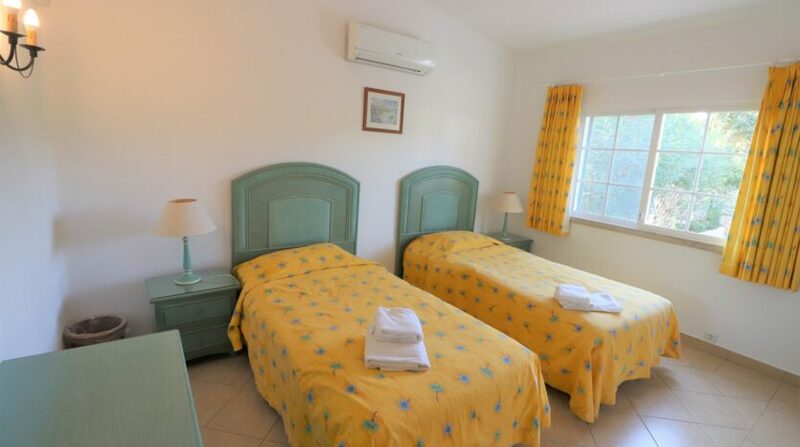 Towels are changed twice and linen once per week.